Western Canada's largest museum shares, preserves and collects the human and natural history of Alberta. As the ways people consume and share art and culture evolve, museums around the globe aren’t just changing their programming and offerings to attract visitors, they are also approaching the design of the museum itself in a way that enhances the visitor experience, creating a space for community members and tourists to convene and enjoy the museum’s offerings in a complete, immersive experience. 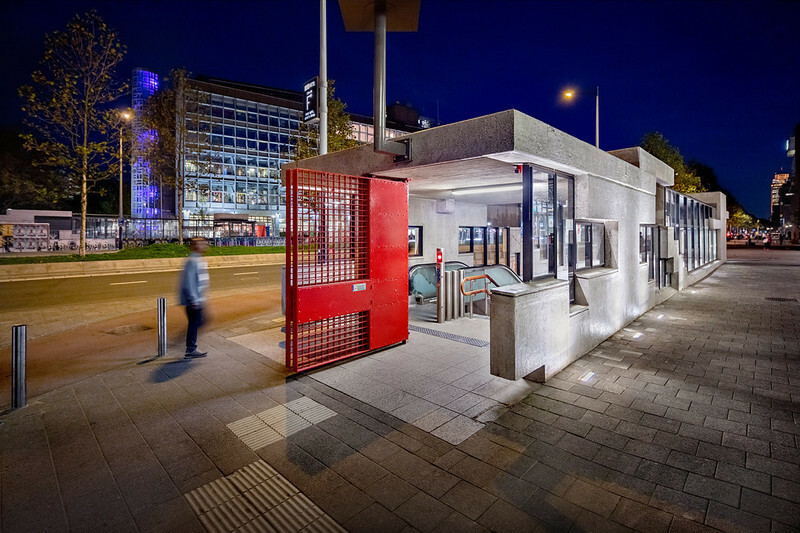 No longer are these buildings designed as post-war fortresses—they are now welcoming, animated buildings that engage their communities. 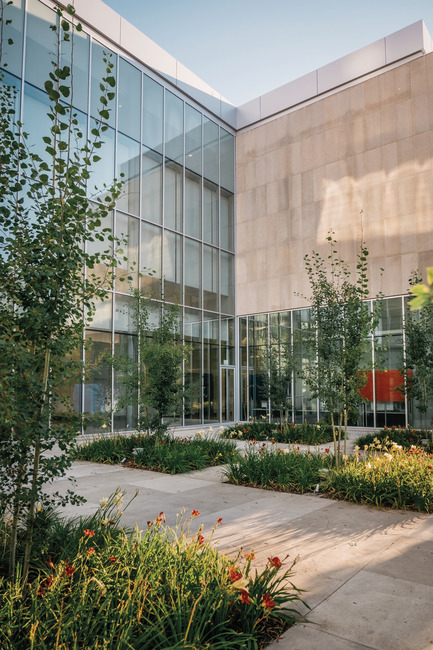 The recently built Royal Alberta Museum (RAM) takes a modern approach to attracting museum-goers by artfully weaving a narrative between nature and the building, sustainably creating a space for lovers of history and culture to gather and learn about Alberta for generations to come. 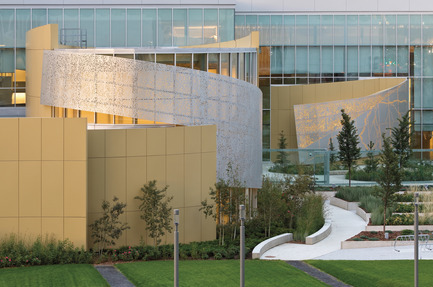 Designed by multidisciplinary design firm DIALOG, RAM is so much more than a beautiful landmark in Edmonton's arts district. 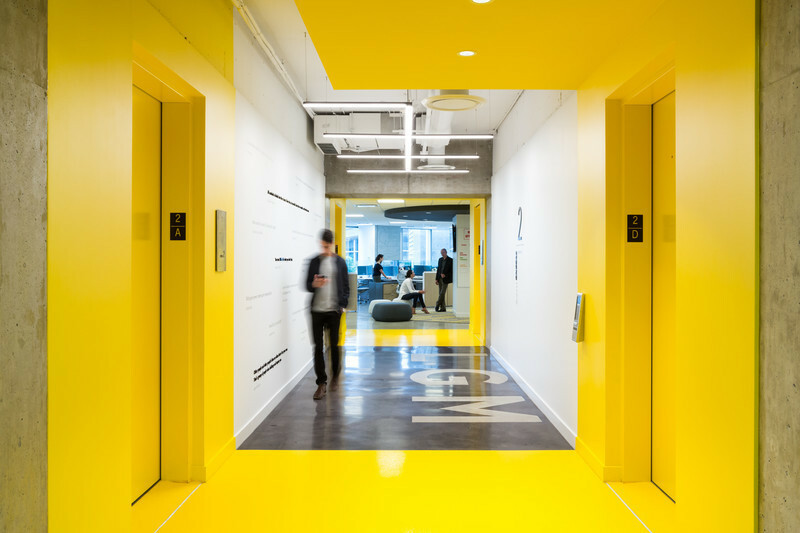 A key element of the design is the ability to use the spaces in multiple ways that support a wide range of functions. The line between the paid and unpaid zone is flexible, while the open and welcoming lobby can double as an event venue. The gallery suites are straightforward, simple spaces designed to support a variety of configurations and give prominence to the stories and artifacts. 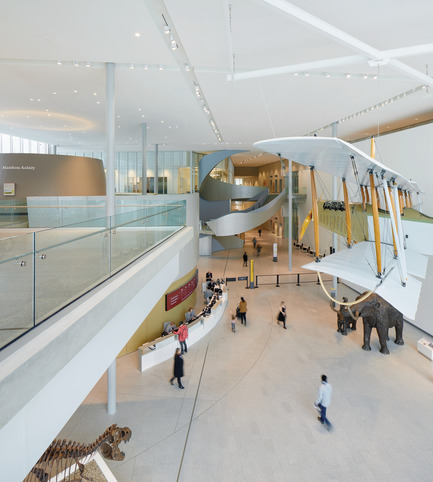 The permanent collections are housed in the Human and Natural History Galleries, designed as flexible spaces to accommodate the museum’s changing needs over the next 100 years. 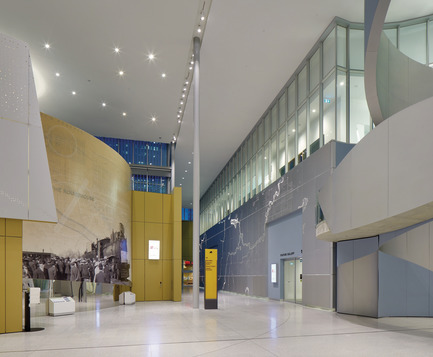 The feature gallery allows the museum to host traveling exhibits with efficient back-of-house arrangements—easy exhibit changeover logistics, work spaces and collection integration. Opening this April, RAM’s first feature exhibit, Vikings: Beyond the Legend is the largest touring exhibition of Viking artifacts in the world. 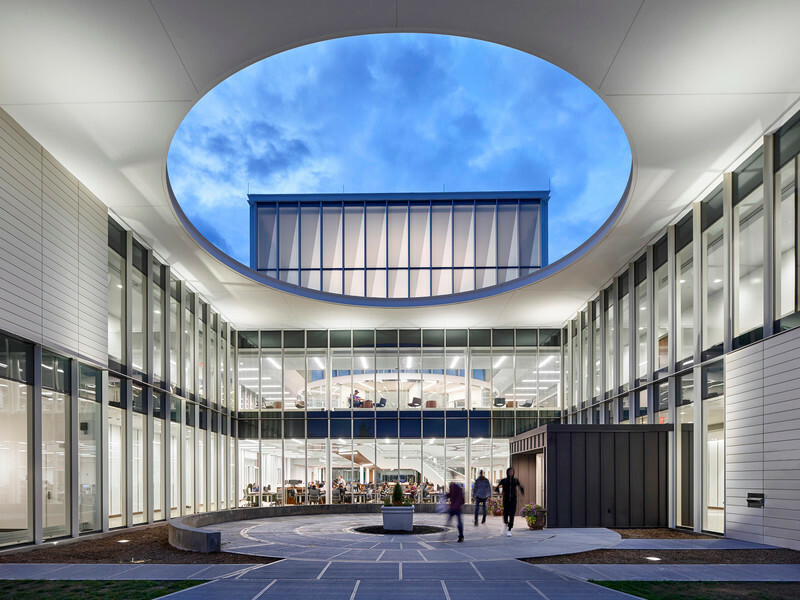 The new building finally allows RAM to host world-class exhibits like this one, which is a highly anticipated change from their first 50 years in a previous building. 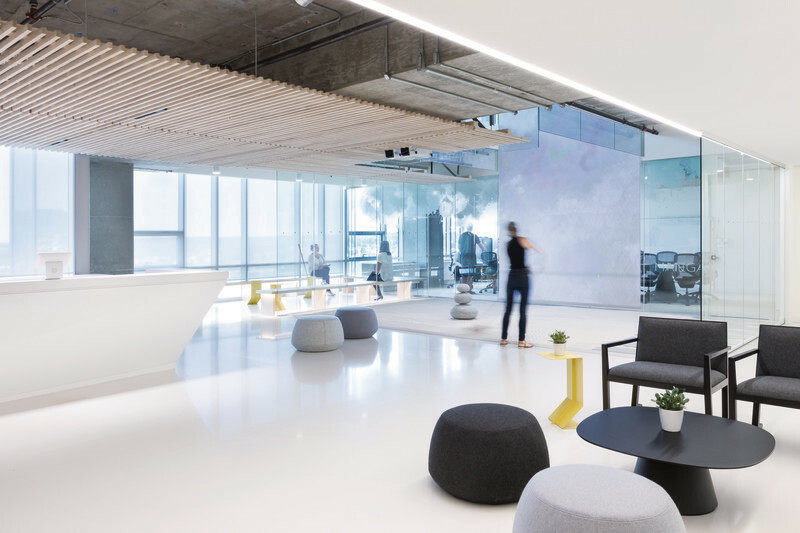 Similar to other stunning museums like The Perez Art Museum in Miami, DIALOG was very deliberate in its weaving of nature into what could otherwise be a stark white space, without distracting from the museum’s precious objects. 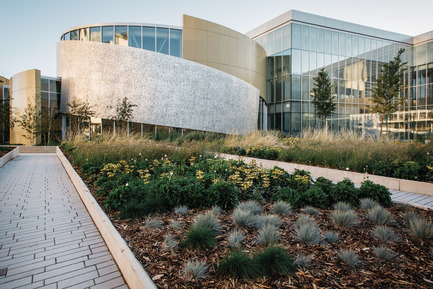 In addition to RAM’s beautiful outdoor spaces including a vast garden and two courtyards, nature is brought into the building design itself through a variety of creative homages that reflect the natural history of Alberta. 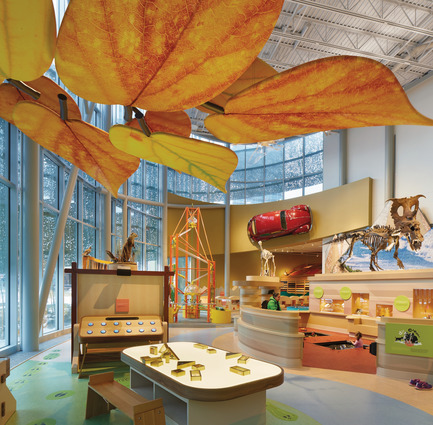 For example, the inside of the Children’s Gallery evokes the feeling of being within a tree fort in Alberta’s lush Boreal Forest. The columns around the exterior walls become the trunks of the trees. A canopy of Aspen leaves is abstracted and laser cut into metal panels wrapping the outer surface and casting dappled light into the space. In the lobby, a massive sculptural staircase which mimics water-carved canyons in the Rocky Mountains allows delightful circulation between the permanent galleries. 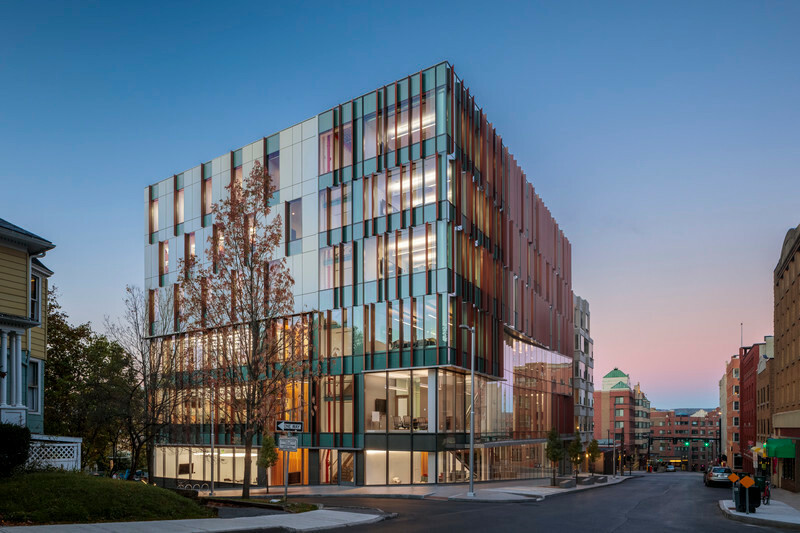 The blank canvas in the heart of the city presented a unique opportunity to create a perfectly-suited, sustainable facility with more space for displays, growing collections, and state of the art research labs. The architecture gives primacy to the stories, the artifacts and the objects of the museum. The engineering systems respond to and support this vision. The building is designed to enhance the experience of visitors and museum staff. It is a place to explore and connect—to Alberta, to ideas, and to people. Alberta's distinct seasons were embraced in the design, inside and out. As the northern sky darkens, the museum begins to glow. 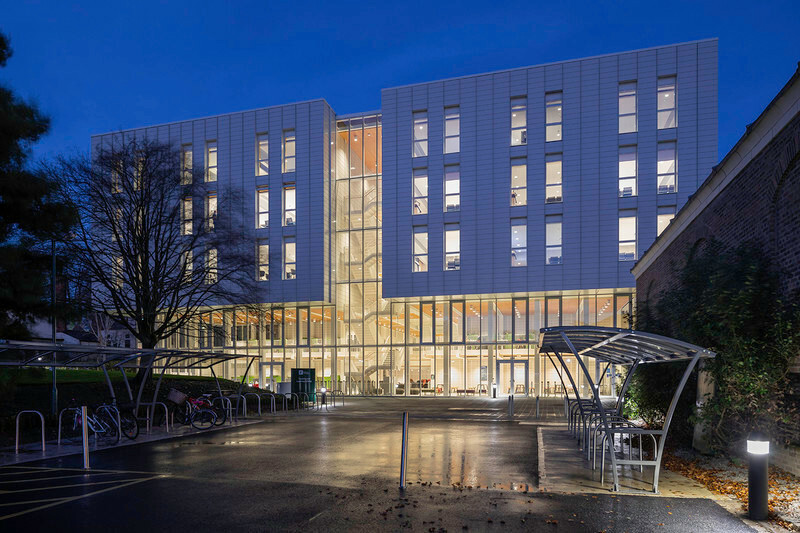 The glazed walls dissolve and the building becomes a display case. 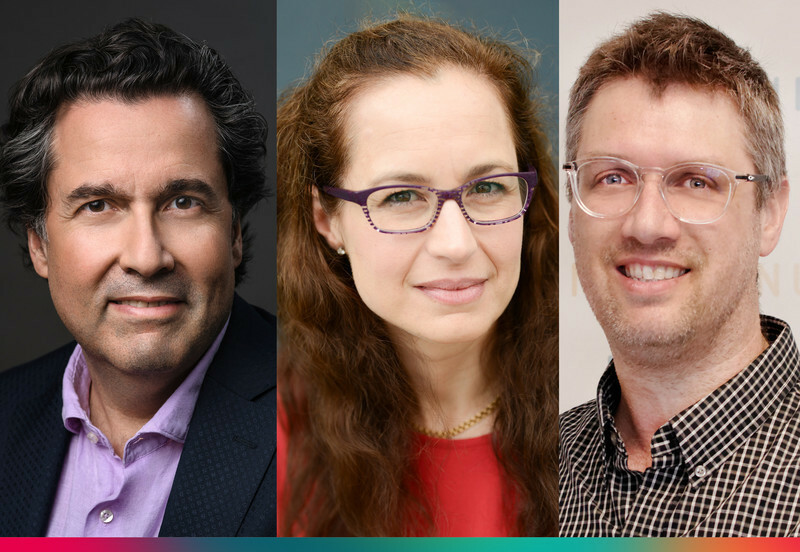 DIALOG's integrated team of architects, interior designers, landscape architects and structural, mechanical and electrical engineers designed a place for gathering, discovering the human and natural history of Alberta, and protecting the objects that tell these stories. The Isabella Courtyard is the exact alignment of the historic 104 Avenue that was lost to downtown development. The courtyard features Western Alberta plantings like Lodgepole Pine and Black Spruce. 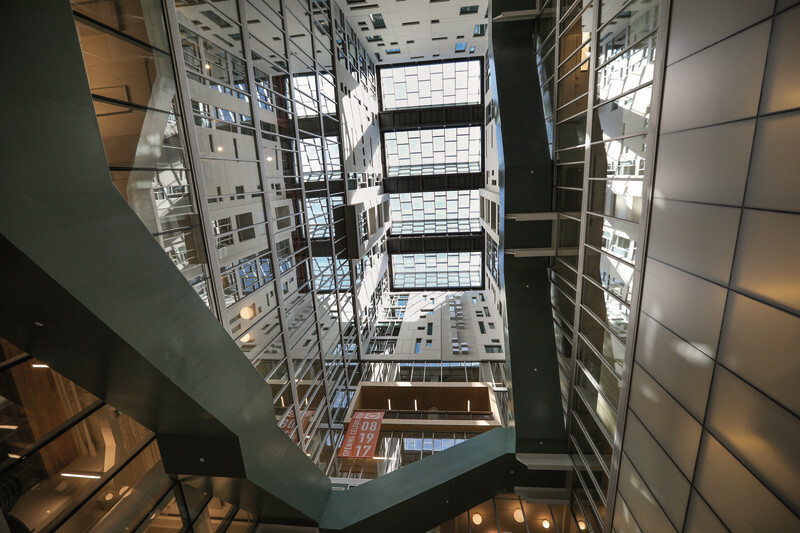 The Fraser Courtyard brings to life the old 98 Street that was previously lost to downtown Edmonton development. 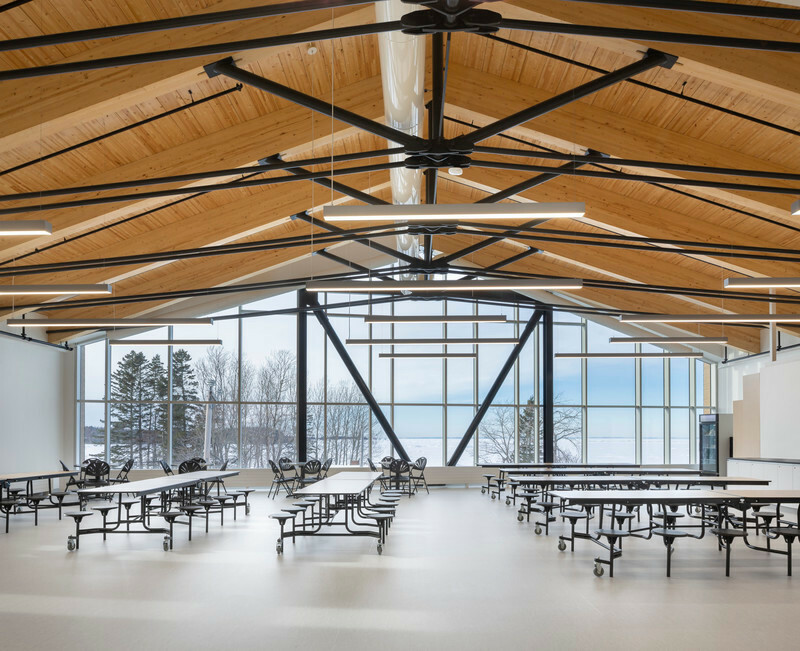 Aspen trees are planted here, forming a high canopy to accommodate cafe seating underneath. Day Lilies are planted below the Aspen trees—a breed developed by researchers in Alberta before rising to popularity around North America. Where the museum now stands where a former Canada Post main branch once sat. The exterior of that previous building featured nine mosaic murals by Ernestine Tahedl, commissioned by the federal government in 1966. These remarkable mosaics were carefully deconstructed and catalogued in 2012 to be incorporated into the new museum. They were restored, reframed, and reinstalled within inches of their original location, and incorporated into the design as a delightful feature along the pedestrian promenade and a screen for the cafe patio. 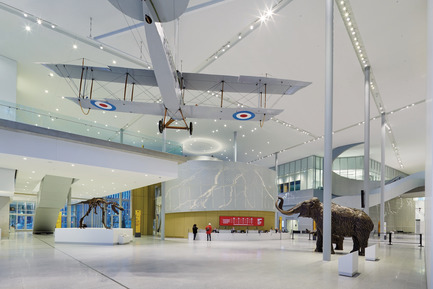 The lobby gives a glimpse into everything the Royal Alberta Museum has to offer including galleries, objects, the cafe, classrooms and the gift shop. 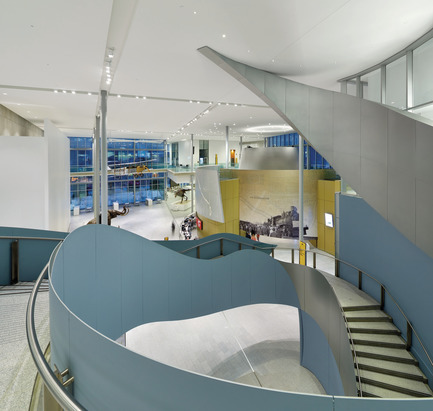 The lobby is connected to the sky, the gardens, and the stories of Alberta, and offers glimpses into the working life of the museum. 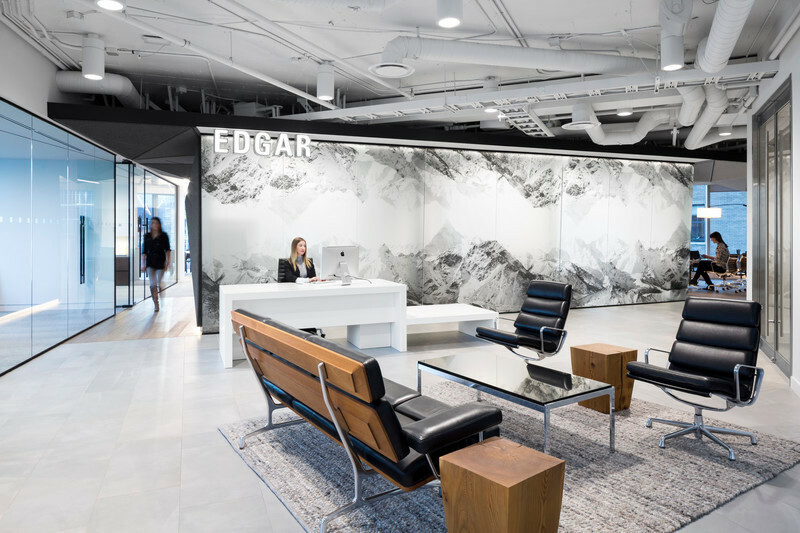 The feature staircase is inspired by water-carved canyons in Alberta's Rocky Mountains. Classrooms support school groups that visit the museum. 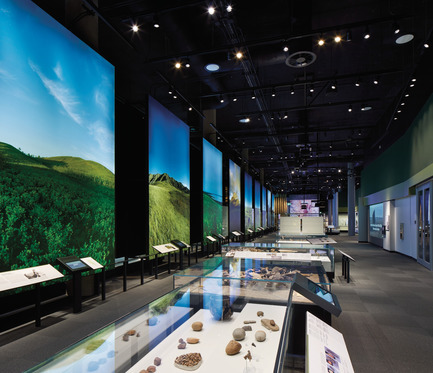 Some classrooms are placed within the galleries for an immersive learning experience. 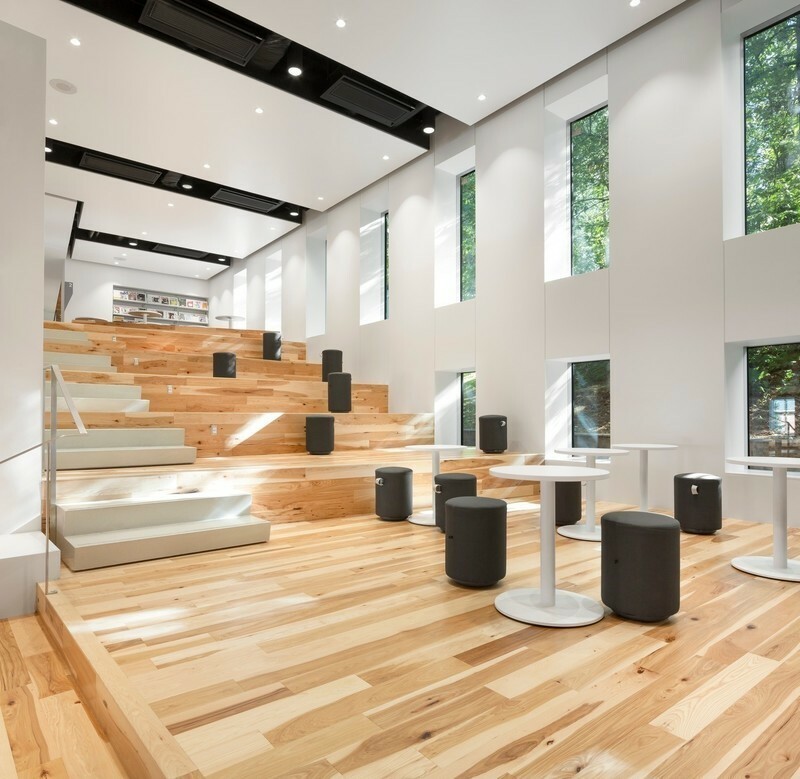 The Children's Gallery is designed to feel like a tree fort within a forest. 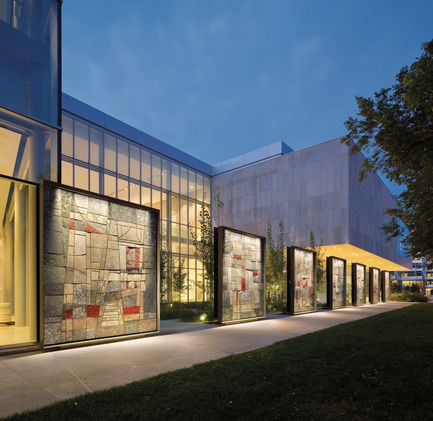 A metal panel perforated with Aspen leaf shapes wraps the gallery, and the mix of diagonal and straight support columns represent tree trunks. 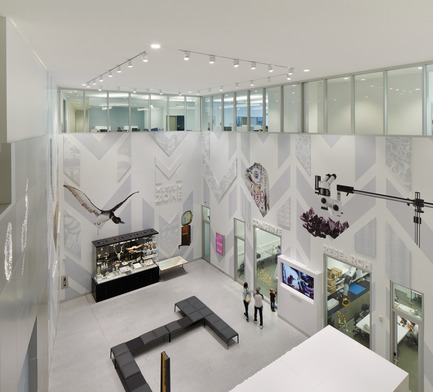 The Museum Zone shares the important research and conservation work that RAM does by offering windows into the museum's working laboratories. Behind the scenes, the museum is equally enjoyable for staff. 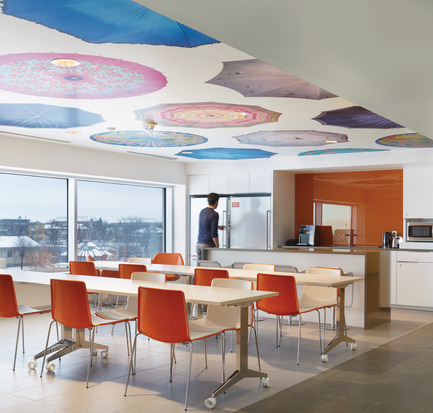 Offices have plenty of natural light, and views to outdoors can be found in staff break rooms and back corridors. Strict environmental conditions are required throughout the museum to keep the objects safe. 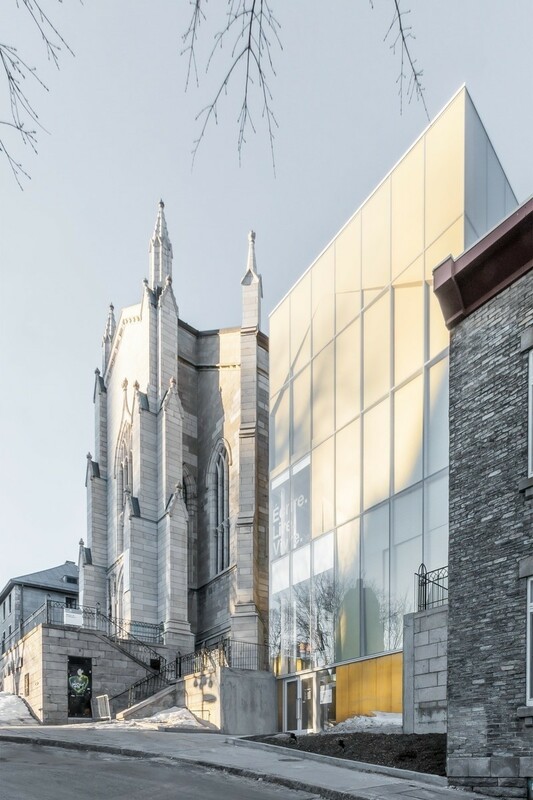 Galleries are designed to be open and flexible spaces to accommodate changing exhibits over the next 100 years.